Last week, I enjoyed presenting on New Marketing Mastery at the Tony Robbins Business Mastery event in Las Vegas. The energy in the room was remarkable! 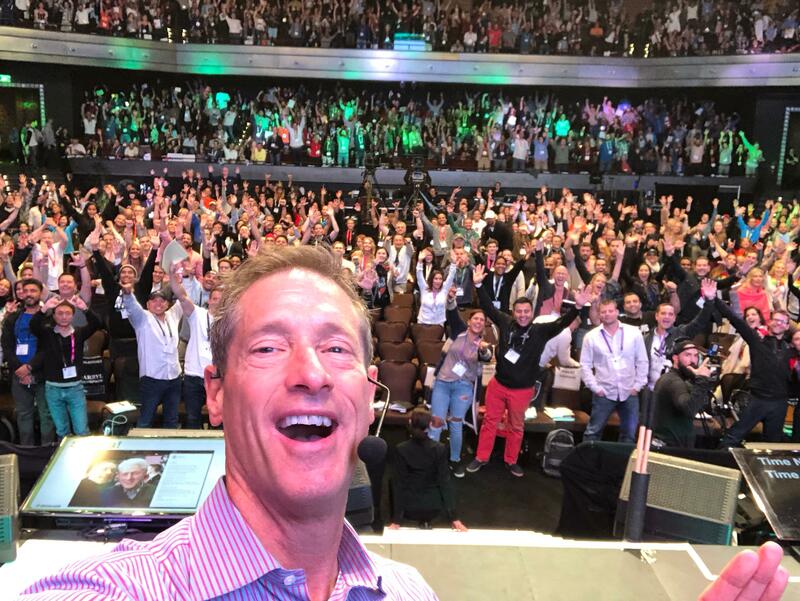 While everything shared from the stage by Tony and me and the other great speakers such as Scott Harris has potential for massive business change, the key execution. You must start. Now. “When would now be a good time?” asks Tony Robbins. So many people absorb great ideas and don’t implement. And it’s not just at events. We learn from each other face to face, we are exposed to ideas by reading, and we dig in through online education programs. But no change happens without action. “Execution trumps knowledge every day of the week,” Tony says. Of course, we can’t implement every idea that sounds good. But to succeed we do have to pick and choose what to implement in our business and personal lives. And once we decide, we need to get going. Now is the time. Prioritization is critical here. What can you eliminate so that you can focus on what’s really important?